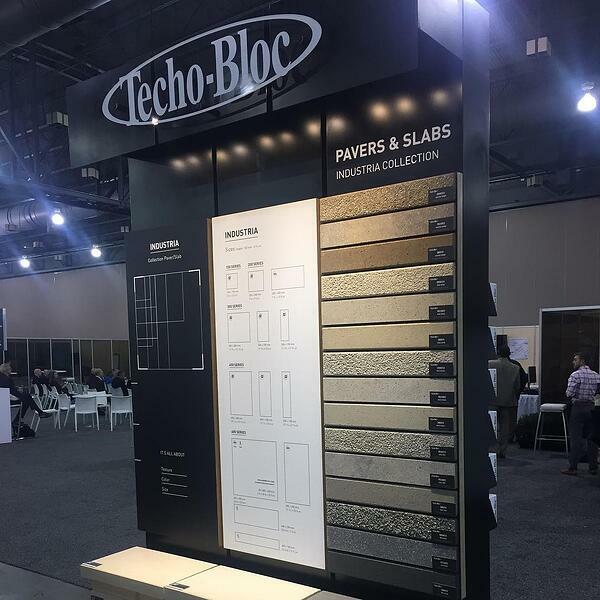 Techo-Bloc is releasing new products in 2019! The beginning of a new year is the perfect time to plan your season. 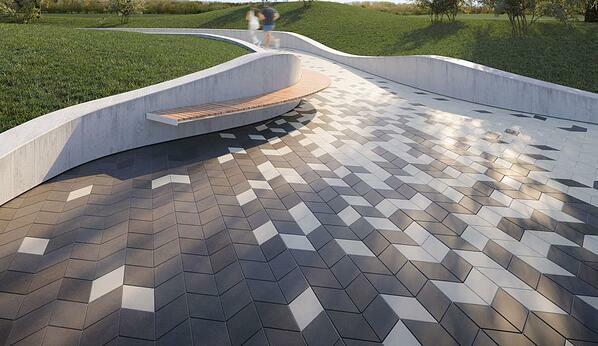 Techo-Bloc is big on innovating and we are launching cool new products : Diamond, Sleek and new sizes for Industria. Try them out in 2019! You won't need to dig far to find this beauty! We make the highest quality concrete on the market, no wonder we came up with a product named after the hardest stone on earth. Homeowners can't give it to their significant other on Valentine's Day, but it looks good in the front yard! Or the backyard. Diamond marvels as a walkway, driveway, patio, terrace or pool deck in residential use, and it is resistant enough to cover any commercial plazas, parks and sidewalks. 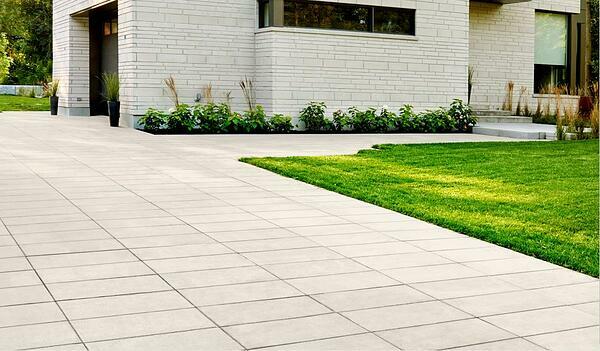 This modern-style diamond-shaped paver is designed to replicate interior tile, allowing homeowners to bring a trendy contemporary interior design outside. Available in Smooth and Granitex textures, 6 colors and HD2 technology, we are launching one of the most creatively flexible modern-style paver in the industry. This new product measures 3.5" x 16" x 32". You know what that means! With a product this big, it's much quicker to pave a driveway, saving you time and money. Paired with a 3.5-inch thickness, this dry cast paver is strong enough to withstand vehicular traffic and de-icing salts. 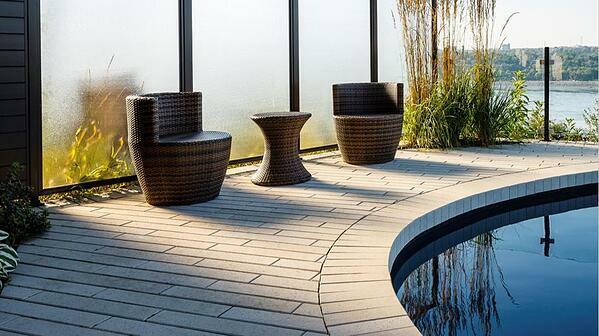 Plus, Sleek is covered by the Techo-Bloc warranty, and is reinforced even more by our HD2 technology. This hyper-smooth, ultra-modern large format paving stone presents a tight joint spacing, creating a beautiful unified space homeowners will love to lay their eyes upon. We conceive our products with 3 key pillars in mind: color, scale and texture. Industria is a perfect representation of these pillars with 13 sizes, 5 colors and 3 textures, providing enough diversity and versatility to fit in any design without any necessary cuts. 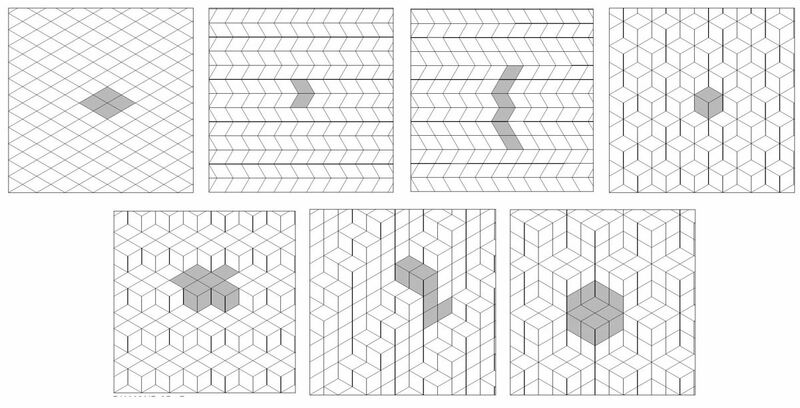 Just to give you an idea, 13 sizes can create up to 169 patterns., opening the door to an endless array of design possibilities. It's an architect's dream! 4" x 6" x 18"
4" x 12" x 18"
This 4-inch thick dry cast paver resists any type of vehicular traffic and the use of deicing salts, so they will perform well in residential and commercial projects. Missed what came out in 2018? Click here to consult a list of all of our existing products released last year. WANT TO LEARN MORE? WE PROVIDE MORE DETAILS AT OUR CONTRACTOR SHOWCASE EVENTS! REGISTER TO ATTEND THE PRESENTATION AND GET A CHANCE TO TALK WITH YOUR SALES REPRESENTATIVE!